An antibacterial soap that doesn't require water: the liquid within Dry Wash evaporates as you are using it. 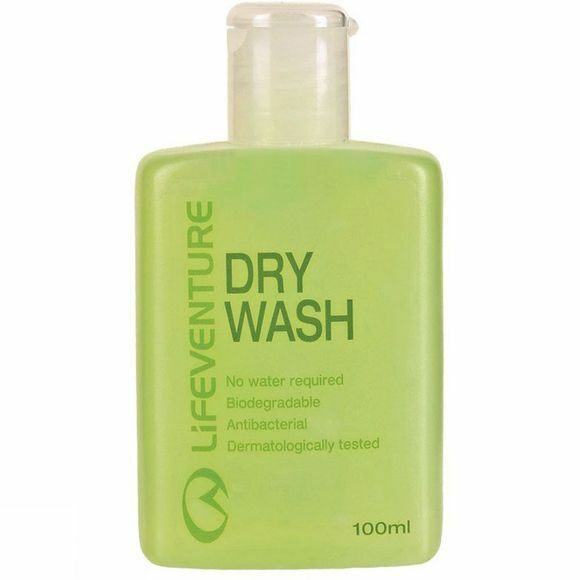 Dry Wash is ideal for travel, camping, backpacking, D of E expeditions and all sorts of use in the great outdoors when a reliable water source may not be close by. Contains soothing aloe vera extract.